The journey to digital business continues as the key theme of Gartner, Inc.'s "Hype Cycle for Emerging Technologies, 2015." New to the Hype Cycle this year is the emergence of technologies that support what Gartner defines as digital humanism — the notion that people are the central focus in the manifestation of digital businesses and digital workplaces. "The Hype Cycle for Emerging Technologies is the broadest aggregate Gartner Hype Cycle, featuring technologies that are the focus of attention because of particularly high levels of interest, and those that Gartner believes have the potential for significant impact," said Betsy Burton, vice president and distinguished analyst at Gartner. "This year, we encourage CIOs and other IT leaders to dedicate time and energy focused on innovation, rather than just incremental business advancement, while also gaining inspiration by scanning beyond the bounds of their industry." Major changes in the 2015 Hype Cycle for Emerging Technologies include the placement of autonomous vehicles, which have shifted from pre-peak to peak of the Hype Cycle. While autonomous vehicles are still embryonic, this movement still represents a significant advancement, with all major automotive companies putting autonomous vehicles on their near-term roadmaps. Similarly, the growing momentum (from post-trigger to pre-peak) in connected-home solutions has introduced entirely new solutions and platforms enabled by new technology providers and existing manufacturers. Are you concerned about AI? Recently, a growing number of opinion leaders have started to point out the potential risks associated to the rapid advancement of Artificial Intelligence. This shared concern has led an interdisciplinary group of scientists, technologists and entrepreneurs to sign an open letter (http://futureoflife.org/misc/open_letter/), drafted by the Future of Life Institute, which focuses on priorities to be considered as Artificial Intelligence develops as well as on the potential dangers posed by this paradigm. The concern that machines may soon dominate humans, however, is not new: in the last thirty years, this topic has been widely represented in movies (i.e. Terminator, the Matrix), novels and various interactive arts. For example, australian-based performance artist Stelarc has incorporated themes of cyborgization and other human-machine interfaces in his work, by creating a number of installations that confront us with the question of where human ends and technology begins. In his 2005 well-received book “The Singularity Is Near: When Humans Transcend Biology” (Viking Penguin: New York), inventor and futurist Ray Kurzweil argued that Artificial Intelligence is one of the interacting forces that, together with genetics, robotic and nanotechnology, may soon converge to overcome our biological limitations and usher in the beginning of the Singularity, during which Kurzweil predicts that human life will be irreversibly transformed. According to Kurzweil, will take place around 2045 and will probably represent the most extraordinary event in all of human history. Ray Kurzweil’s vision of the future of intelligence is at the forefront of the transhumanist movement, which considers scientific and technological advances as a mean to augment human physical and cognitive abilities, with the final aim of improving and even extending life. According to transhumanists, however, the choice whether to benefit from such enhancement options should generally reside with the individual. The concept of transhumanism has been criticized, among others, by the influential american philosopher of technology, Don Ihde, who pointed out that no technology will ever be completely internalized, since any technological enhancement implies a compromise. Ihde has distinguished four different relations that humans can have with technological artifacts. 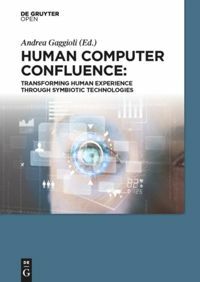 In particular, in the “embodiment relation” a technology becomes (quasi)transparent, allowing a partial symbiosis of ourself and the technology. In wearing of eyeglasses, as Ihde examplifies, I do not look “at” them but “through” them at the world: they are already assimilated into my body schema, withdrawing from my perceiving. According to Ihde, there is a doubled desire which arises from such embodiment relations: “It is the doubled desire that, on one side, is a wish for total transparency, total embodiment, for the technology to truly "become me."(...) But that is only one side of the desire. The other side is the desire to have the power, the transformation that the technology makes available. Only by using the technology is my bodily power enhanced and magniﬁed by speed, through distance, or by any of the other ways in which technologies change my capacities. (…) The desire is, at best, contradictory. l want the transformation that the technology allows, but I want it in such a way that I am basically unaware of its presence. I want it in such a way that it becomes me. Such a desire both secretly rejects what technologies are and overlooks the transformational effects which are necessarily tied to human-technology relations. This lllusory desire belongs equally to pro- and anti-technology interpretations of technology.” (Ihde, D. (1990). Technology and the Lifeworld: From Garden to Earth. Bloomington: Indiana, p. 75). Despite the different philosophical stances and assumptions on what our future relationship with technology will look like, there is little doubt that these questions will become more pressing and acute in the next years. In my personal view, technology should not be viewed as mean to replace human life, but as an instrument for improving it. 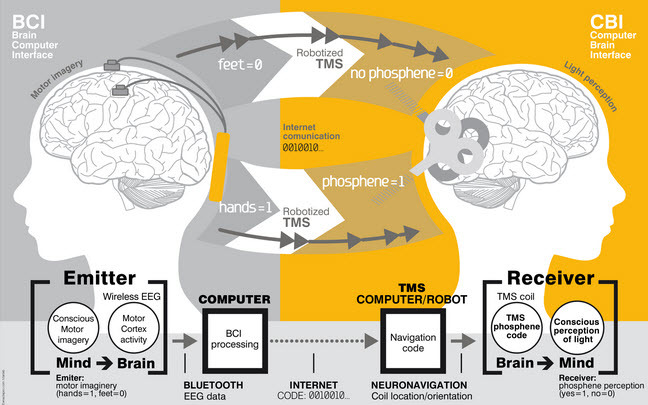 As William S. Haney II suggests in his book “Cyberculture, Cyborgs and Science Fiction: Consciousness and the Posthuman” (Rodopi: Amsterdam, 2006), “each person must choose for him or herself between the technological extension of physical experience through mind, body and world on the one hand, and the natural powers of human consciousness on the other as a means to realize their ultimate vision.” (ix, Preface). Glass could soon be used for more than just snapping pics of your lunchtime sandwich. A new game will connect Glass wearers to a virtual ant colony vying for prizes by solving real-world problems that vex traditional crowdsourcing efforts. Crowdsourcing is most famous for collaborative projects like Wikipedia and "games with a purpose" like FoldIt, which turns the calculations involved in protein folding into an online game. All require users to log in to a specific website on their PC. Now Daniel Estrada of the University of Illinois in Urbana-Champaign and Jonathan Lawhead of Columbia University in New York are seeking to bring crowdsourcing to Google's wearable computer, Glass. The pair have designed a game called Swarm! that puts a Glass wearer in the role of an ant in a colony. Similar to the pheromone trails laid down by ants, players leave virtual trails on a map as they move about. These behave like real ant trails, fading away with time unless reinforced by other people travelling the same route. Such augmented reality games already exist – Google's Ingress, for one – but in Swarm! the tasks have real-world applications. To gain further resources for their colony, players can carry out real-world tasks. For example, if the developers wanted to create a map of the locations of every power outlet in an airport, they could reward players with virtual food for every photo of a socket they took. The photos and location data recorded by Glass could then be used to generate a map that anyone could use. Such problems can only be solved by people out in the physical world, yet the economic incentives aren't strong enough for, say, the airport owner to provide such a map. 4th International Workshop on "From Event-Driven Business Process Management to Ubiquitous Complex Event Processing"
4th International Workshop on “Event-Driven Business Process Management” is co-located with ServiceWave/Future Internet Conference 2011:Poznan, Poland from October 25-28, 2011. This workshop focuses on the topics of connecting Internet of Services and Things with the management of business processes and the Future and Emerging Technologies as addressed by the ISTAG Recommendations of the European FET-F 2020 and Beyond Initiative. Such FET challenges are not longer limited to business processes, but focus on new ideas in order to connect processes on the basis of CEP with disciplines of Cell Biology, Epigenetics, Brain Research, Robotics, Emergency Management, SocioGeonomics, Bio- and Quantum Computing – summarized under the concept of U-CEP. Nooron is free (LGPLed) software which aims to provide a platform for collaboration on a global scale. The theory behind this effort is that a way to achieve such inclusiveness while also promoting quality is to create the mother-of-all-peer-review-systems and apply it to flexible, distributed knowledge representation. Unlike the majority of collaborative filtering systems, Nooron is based on user-extensible criteria (dimensions along which evaluations -- ratings -- may occur.) An unprecedented (except in biology) level of self-organization is expected to result from diligent application of criteria-based filtering to nearly every aspect of the system.